Various factors like a lack of a healthy diet, not drinking enough water, not eating enough fiber, stress, and toxins in the environment can all be contributors to why you are suffering from constipation, gas or bloating. Laxatives are a common treatment for these symptoms but the problem with laxatives is that your body can become dependant on them in order to achieve bowel movements or they can become ineffective after continual use. 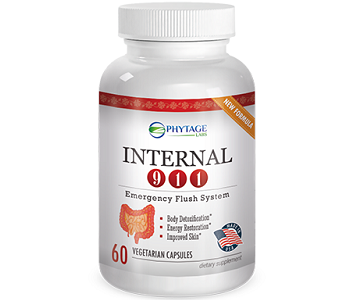 This review is going to take a closer look at Phytage Internal 911. This product claims that their gentle and powerful formula can help flush out your system resulting in having the ability to have regular bowel movements, be free of pain and discomfort and have no more straining on the toilet. Inactive Ingredients: Gelatin, Magnesium Stearate and Silicon Dioxide. Psyllium Husk draws water into the stool which causes the stool to move quickly through your digestive tract. Bentonite Clay helps get rid of many of the toxins that you consume through everyday matter like cleaning supplies, unfiltered water and pesticides. Black Walnut Hull is a source of beta-carotene, acids, calcium, iron, magnesium and other vitamins that help aid in digestion and the intestinal system. Oat Bran Powder contains fiber that prevents you from becoming constipated. Flaxseed is also a potent source of fiber that is rich in omega-3 fatty acids that contribute to digestive regularity and has properties that can decrease bloating. The dosage instructions are inconsistent and misleading. On one page of their website, Phytage recommends taking two capsules twice a day, daily on an empty stomach. On another page, it says you should take 2-4 capsules daily with a meal for optimal results. We highly recommend that if you are going to buy this product that you call their customer service to inquire about what the safe dosage is. Phytage stipulates that this product is not intended for pregnant or nursing mothers, children under 18 and anyone taking prescription medication or is under medical supervision. Phytage does not cite any possible side effects on their website. In our research, we found mild side effects associated with taking a cleanse like cramping, nausea, bloating and vomiting. One 60 capsule bottle of Internal 911 is listed on the manufacturer’s website for $69.95, two bottles are discounted to $59.95 each. They also offer the option to purchase a package of four bottles in which each bottle is then discounted to $49.95. Phytage offers a 90-day money back guarantee. We found many consumer reviews that criticized Internal 911 for their misleading information. Consumers reported that despite their promises and list of active key ingredients, they experienced no effects from taking this product. This colon cleanse appears to be decent. It contains a list of ingredients that have been shown to have properties that can aid in making bowel movements more frequent and easier to pass. This cleanse comes in easy to swallow capsules. However, we found a lot of the information that Phytage provides to be misleading and inconsistent. In order to safely take a colon cleanse, you must know exactly how much you should take and when. Otherwise, you can put yourself at risk for other adverse side effects like dehydration and severe diarrhea. 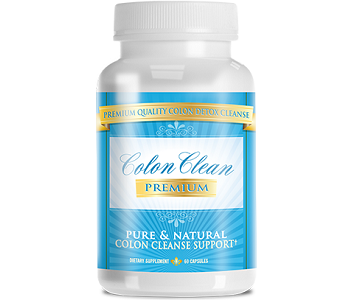 The price for one bottle is also expensive relative to other colon cleansers we have seen on the market. This product is too risky to choose as a viable option considering the expensive price, inconsistent information, and all of the negative consumer reviews.